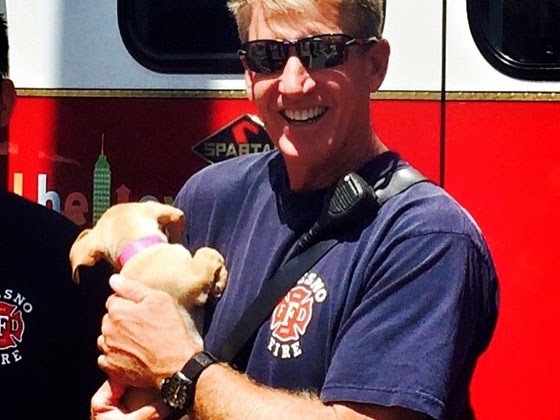 Captain Pete Dern was critically injured while venting a roof on a two story house fire. Pete fell through a collasped roof into a burning garage. Within minutes he was was rescued but not without sustaining 2nd and 3rd degree burns to over 60% of his body. Pete is currently in the Burn unit at Community hospital with a very long road ahead of him. Pete's wife, daughter, mother, sisters and family, alongside of his fire family are with him. Pete is a well respected Captain as well as a loved friend . His recovery will be long and will need Kelly and his daughter as much as possible. Our hearts are broken and helping kelly to stay at his side is most important. On Sunday March 29 Fire Captain Pete Dern was leading his crew across the roof to provide ventilation for the safety of attack crews when a catastrophic collapse dropped him into the inferno. Fellow Firefighters rescued him within minutes but he suffered 65-75 percent second and third degree burns across his body. As of this morning he is heavily sedated and breathing on a respirator. He has already undergone the first of many surgeries and further information will be available at the press conference this afternoon. Fresno Fire Department captain fell through a roof into a burning home early Sunday. At the request of the FFD, we are posting this video to show the dangers of working as a firefighter. The captain, who has not yet been identified, is now in critical condition and has third-degree burns over 30 percent of his body. 60-70 percent of his body is burned. He is in surgery at Community Regional Medical Center.